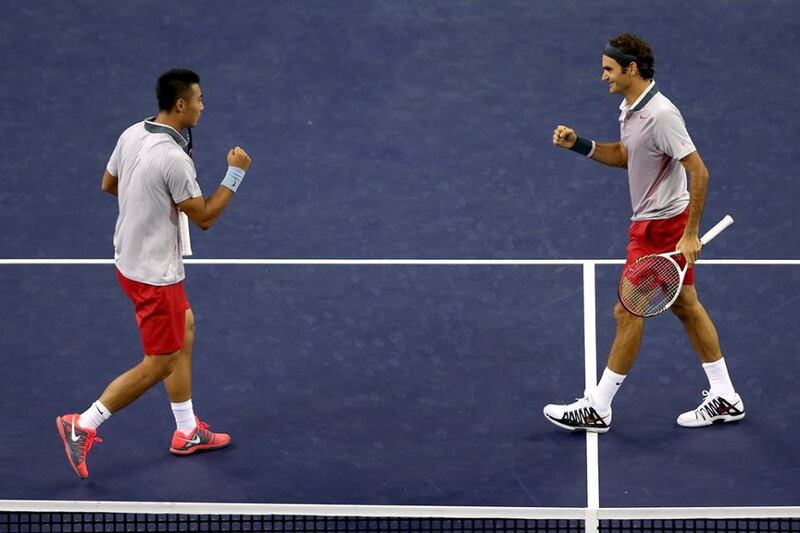 Roger Federer and Zhang Ze took a wildcard entry into the 2013 Shanghai Rolex masters and dominated Kevin Anderson and Dmitry Tursonov from the beginning. The first time doubles pair, “FeZerer,” broke serve early on and once more to secure the first set. From there, the Chinese #1 looked comfortable at net, poaching volleys on nearly every opportunity. The Swiss maestro himself looked fresh and sharp, after taking a few weeks off for rest and preparation to make a push for the London World Tour Finals. The Shanghai Rolex masters tournament overall (organizers, fans, media) has been thrilled by Federer’s decision to play doubles and to choose Zhang Ze as his partner. The duo will next take on Ivan Dodig and Marcelo Melo in the second round. Follow @FedererFan07 for the latest updates on schedules and scores. Watch highlights, post-match interview and full match video below. See both singles and doubles draws here. See Roger Federer’s Nike outfit here. 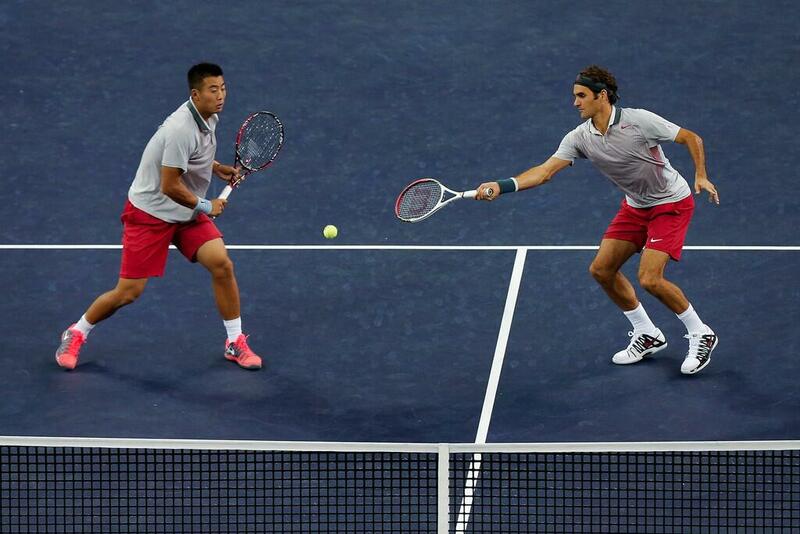 Watch full coverage of the 2013 Shanghai Rolex masters on FF07tv.